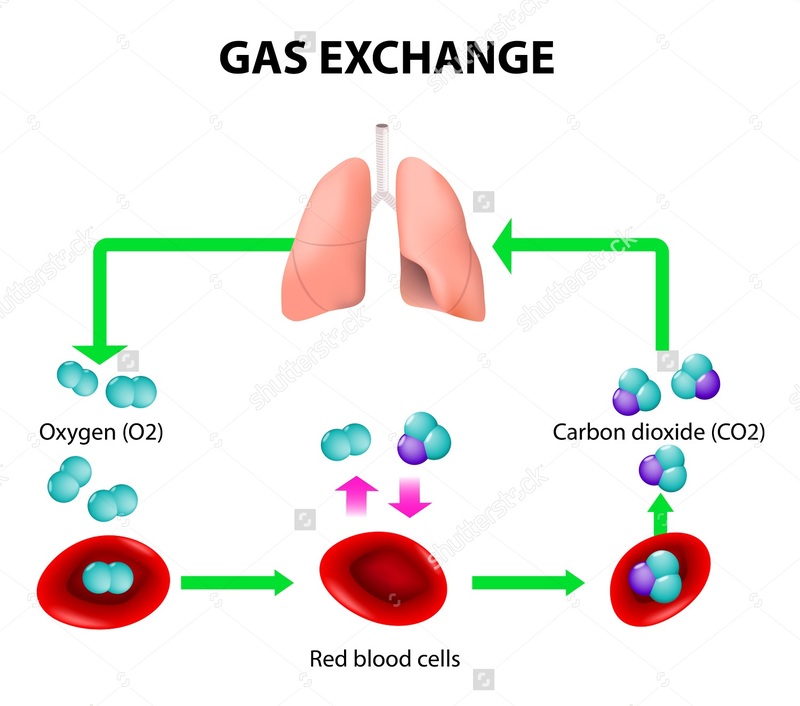 In order to see how gas exchange occurs we need to look further into the lungs. 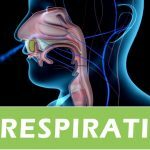 Firstly we know that air enters the body through the mouth or nose, from here it moves to the pharynx (throat), passes through the larynx (voice box) and enters the trachea. 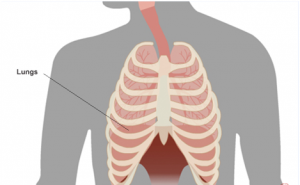 The trachea splits into two branches, the left and right bronchus, each bronchus divides many times into smaller branches called bronchioles. 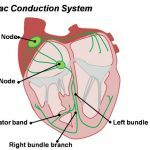 Each bronchiole finally leads to a bunch of tiny air sacs, called alveoli, which inflate during inhalation, and deflate during exhalation. It is at the alveoli where gas exchange takes place. 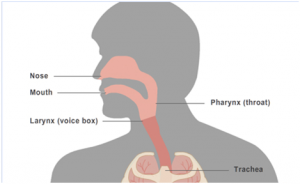 Air enters the body through the mouth and nose, from here it moves to the pharynx (throat), passes through the larynx (voice box) and enters the trachea.